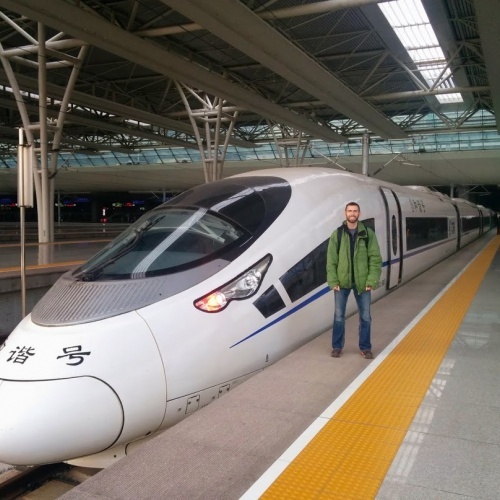 We got up early this morning so we could see Mao before catching the high speed train to Shanghai. We packed up our bags before heading out to see the Mao Mausoleum which opened at 8am. The line went pretty fast and they shuffled everyone through the mausoleum pretty fast. He looked like a pretty bad wax sculpture but all the locals seemed to be loving it. We got out by 8:15 and headed back to the hotel to grab our bags and catch a cab to the train station. The process of getting into the train station and getting our tickets went pretty smoothly. We grabbed a few snacks and got on the train. 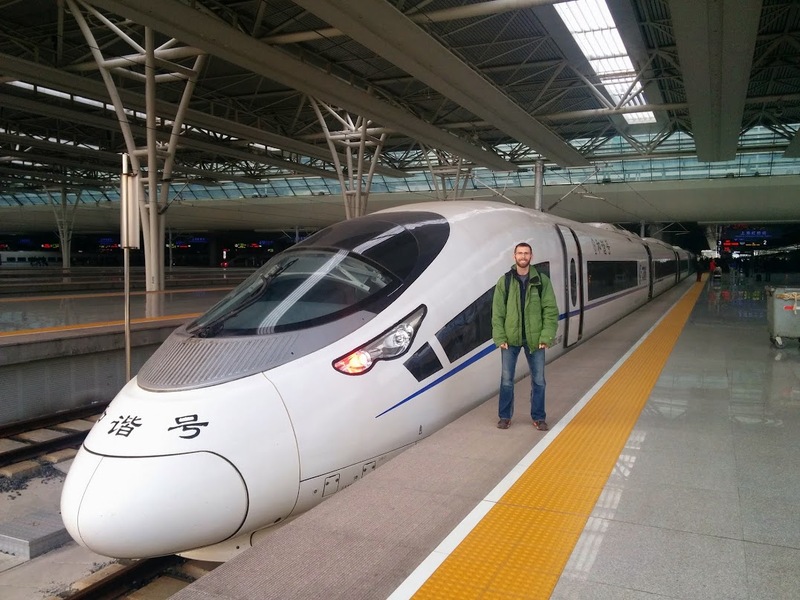 The train took off and averaged over 300kph for most of the 4 hour ride. We passed through a lot of towns that had some crazy construction projects going on. There were towns in the middle of nowhere that had about 20-30 skyrise style apartment buildings going up. 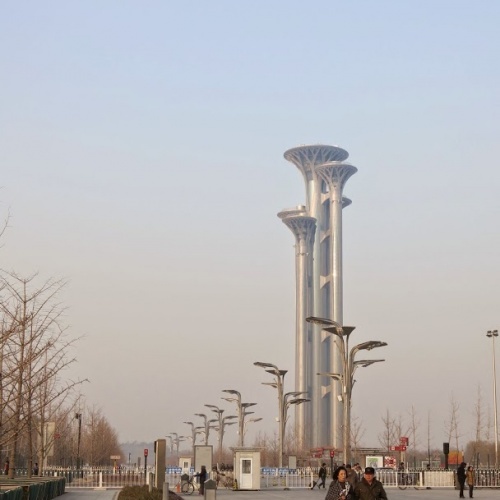 I had heard about the Chinese ghost towns before and it definitely looked like they were building more. Once we got into Shanghai we got another taxi to the hotel. It's actually a pretty nice one although it smells like someone is smoking nearby. 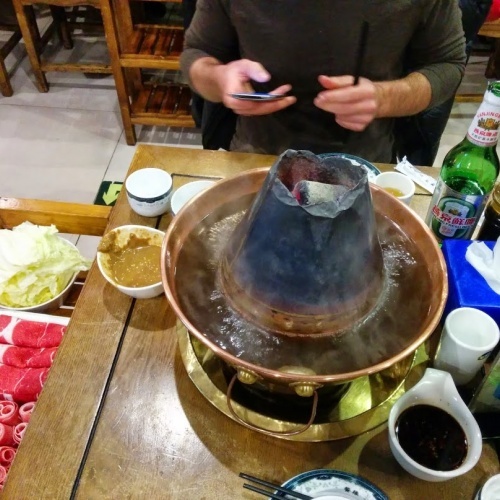 We made plans with some acquaintances of Mike's for dinner here in Shanghai and met up with them at a restaurant called Sichuan Citizen. There were 11 of us and we ordered a bunch of food family style, all of which was really good. Afterwards we went to a microbrewery called Liquid Laundry where I tried one of their IPA's. After we all called it a night Mike and I had a little trouble catching a cab back to the hotel but finally got one and made it back to the hotel. We got a list of stuff to do for the next few days here but we're going to take it pretty easy tomorrow morning so we can sleep in for the first day in a while. We both slept pretty well last night, probably due to the overnight flight. We were planning on going to the Great Wall today but when we woke up we looked outside and saw that the smog levels were ridiculously high (3x what they were yesterday). 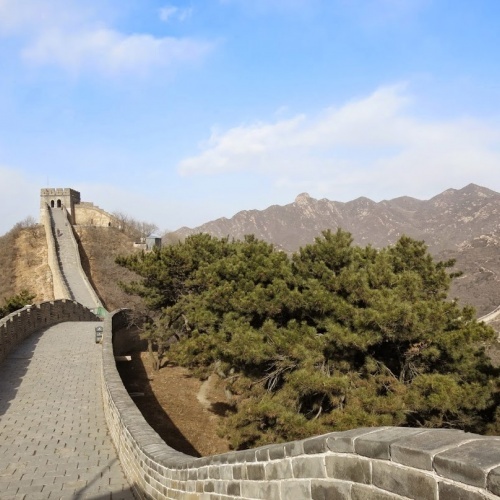 Rather than go to the Great Wall where we'd like to be able to see into the distance we decided to explore Tiananmen Square, the Forbidden City and the Summer Palace. 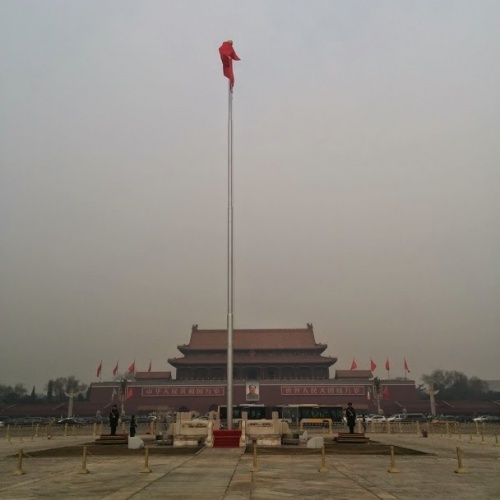 After breakfast we headed over to Tiananmen Square with the hopes of seeing Mao's mausoleum but we got there just after it closed down for the day (it's only open from 8-12). The smog levels were ridiculous. 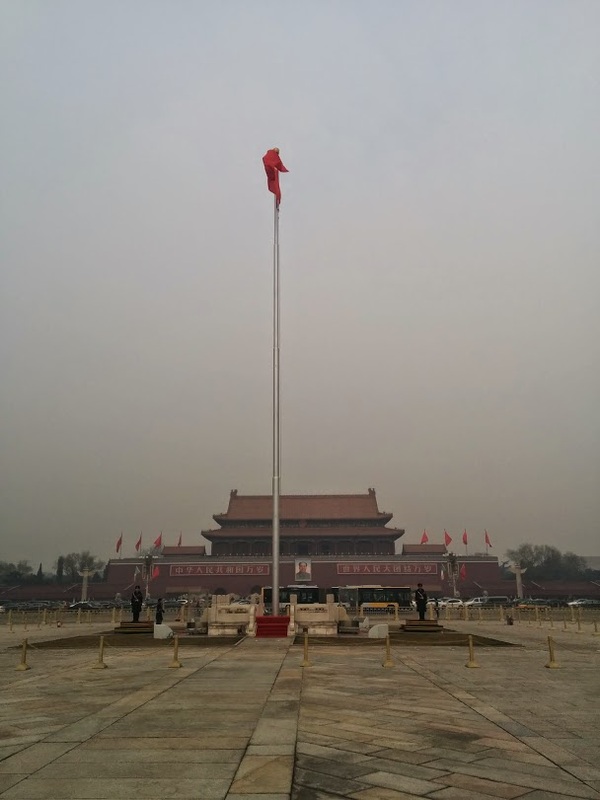 The visibility was so low that it was hard to see the Forbidden City from Tiananmen Square which is only across the street. We took some photos then went over to the Forbidden City. I didn't realize how expansive the Forbidden City actually was. It wasn't too crowded which was nice and we were able to walk around and see most of what we wanted to. Aside from the smog it was a good time walking around. 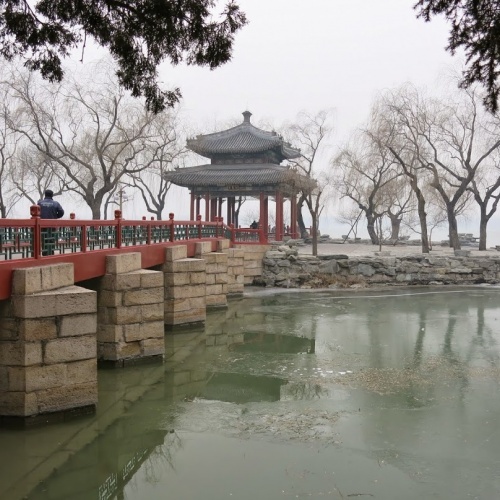 Next up was the Summer Palace which is where the emperors would go during the summer to relax. It would have been a beautiful area if not for the overwhelming smog again. We spent some time there before it closed down and we had to leave. It was getting pretty cold so we found the nearest metro station and went down to the big food street. We didn't really know what we were in the mood for but eventually stumbled into a pretty busy hot pot place called Supreme Hotpot. We ordered a meat combo plate, some cabbage and noodles. 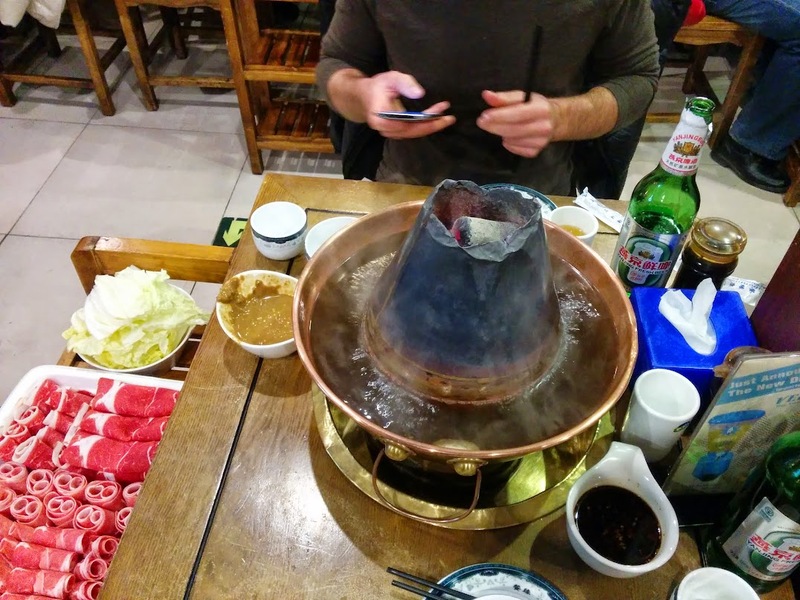 They bring out a big steaming stove filled with charcoal which is surrounded by a soup of choice. You dip your meats and veggies in the soup to cook them, almost like a fondu. We had that and some beers and it really hit the spot for not much money. Once we finished eating we picked up a few things and a gallon of water from 7-11 since we can't actually drink the tap water here. 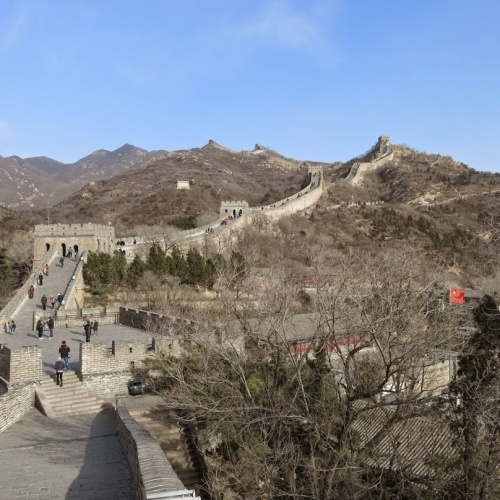 Hopefully the weather tomorrow is better for our visit to the Great Wall. All the walking around mixed with the smog has made us really tired so we're going to relax for a bit then head to bed. The redeye flight from Singapore to Beijing was about 6 hours long but like I said in the previous post we were able to sleep through pretty much all of it thanks to a sleeping pill. We weren't in any rush since it was still only about 7am so we had a quick bite to eat and a coffee at the airport then got on the Airport express into the city. We weren't quite sure how the metro system worked so we got a taxi from the station the airport express dumped out at to the hotel. We paid a little more than we probably should have but we weren't quite sure how far we actually were. Later we found out that we could have gotten to the hotel for about 30 cents if we had hopped on the metro. Oh well, things you learn while traveling. We didn't really think the hotel would let us check in so early but they had a room ready for us so we were able to check in and get situated. 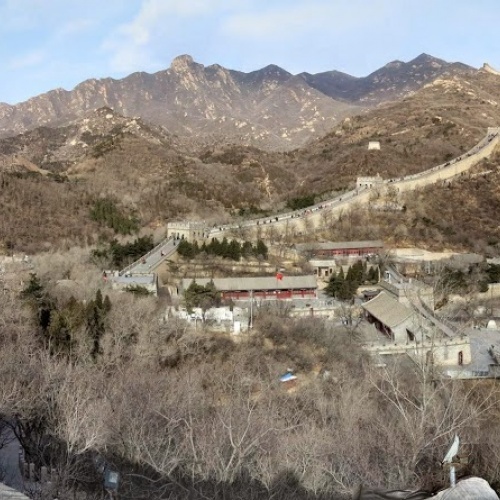 One thing we noticed right away being in China was that all Google services are blocked (which is why there are no photos yet for yesterday or today or probably for the rest of the trip). We couldn't use Google Maps for directions, Google for searching, or Gmail for email (it still seems to come through on my phone though since I'm using my T-Mobile international roaming plan). It's crazy how hard things get when you can't use services you're used to. We were originally going to visit the Forbidden City and Tiananmen Square but the one day a week they're closed is today, Monday, so we had to bypass that. 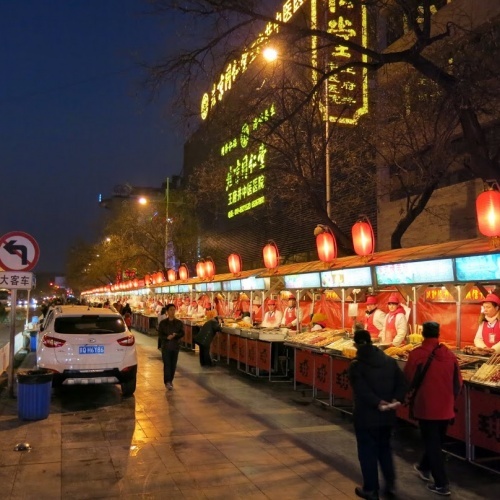 We said we were going to celebrate our Thanksgiving when we got to China by having some Peking Duck so we did some searching to find a good place to visit. It was hard trying to pin down exactly where it was since maps didn't work and all the other map services weren't in English but instead in Mandarin. 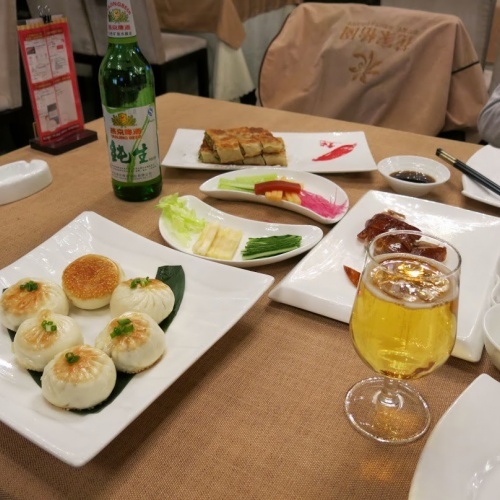 We decided on a place called Hua's Restaurant that had gotten some really good reviews and after negotiating the metro we got there and got seated. No one at the restaurant spoke english so it was a lot of pointing at the menu but we got some peking duck, sesame sticky buns filled with pork and some kind of "meat pie" which was more like an elongated wonton cut into strips. Everything was great and made for a good substitute Thanksgiving. 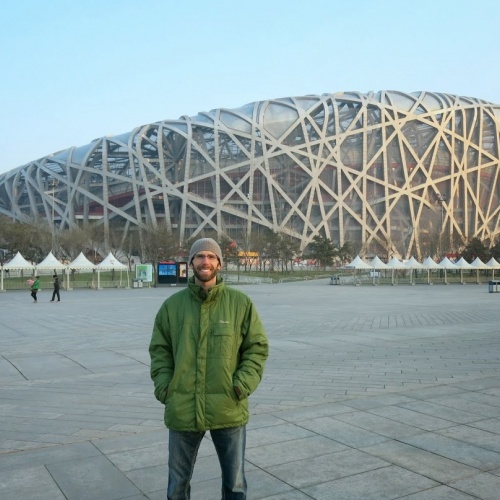 From there we took the metro to the 2008 Beijing Olympics grounds, notably the Bird's Nest and the Cube Aquatics facility. The first stop we got off had actually closed the exit we needed and there wasn't another way to get to the grounds from there so we had to go back onto the metro to the next stop and walk back to the grounds. This is when we really started to notice all the smog. It was about 2:30 in the afternoon but it felt like it was dusk because of all the brown haze. You'll be able to see a lot of this in the photos we took. We walked around and took pictures of the giant observation tower, bird's nest and the cube before heading back near the hotel. Instead of calling it a night we aimlessly walked around some more and found some big open air malls and markets but everything was pretty touristy and surprisingly for us, a lot less crowded than we were expecting. We were hoping to find some good street food but everything looked extremely sketchy which is saying a lot having just come from Kuala Lumpur where we had some great street food. None of the stuff here was on ice and we ran into some guy who was telling us that no one ever eats at the stalls. He was right... there was an entire block of stalls filled with skewers of meat that were just sitting there with no one buying. One thing we weren't ready for was the time it gets dark here. Being down in Malaysia and Singapore it got dark around 7-7:15pm because we were so close to the equator but up here it was basically dark by 5:30. Having such a long day to start with made us pretty tired so after deciding to play it safe and getting some pizza we came back to the hotel to take it easy and go to bed early. 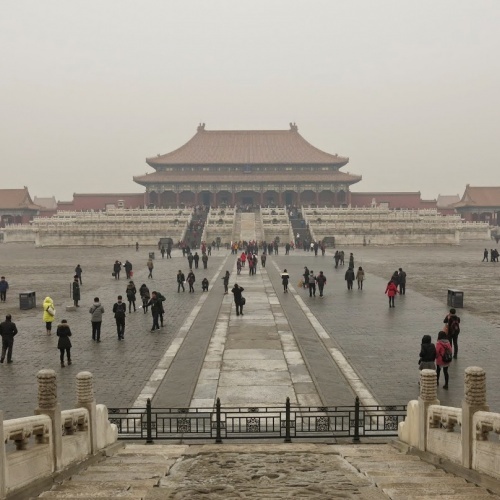 Depending on the weather and smog we'll either do the Great Wall tomorrow or go visit the Forbidden City and Tiananmen Square.